Question : What is the eligibility is required for Andhra University Diploma in Cooperation and Rural Studies & also give fees? The in-service candidates working in cooperatives and allied institutions including non-officials should have any Bachelor’s Degree other than BFA and BA OL. Question : Give me basic information about Diploma in Adult Education & Development course which provide by Andhra University. Basic Eligibility: Graduation in any discipline from recognized university. Tell me eligibility to apply for Andhra University Diploma in Accounting Software course. Andhra University offers Post Graduate Diploma course in Accounting Software which is designed for graduates who majored in accounting and who desire to extend their studies of advanced theory and practice. Basic Eligibilities: Graduation in any stream form recognized board. Question: Can anyone provide me syllabus of Bachelor of Hotel Management & Catering Technology course which offer by Andhra University? Question: Give me Course Duration, Eligibility Criteria and mode of admission in Andhra University Bachelor of Performing Arts course? Eligibility Criteria : Candidate have passed the intermediate (10+2) examination from recognized board of India. Mode of Admission: Based on rank in Andhra University Common Entrance Test (AUCET). Give me the details of the Andhra University Bachelor of Fine Arts program…. The candidate must have completed 12th class in relevant subject form any recognized board of India…. 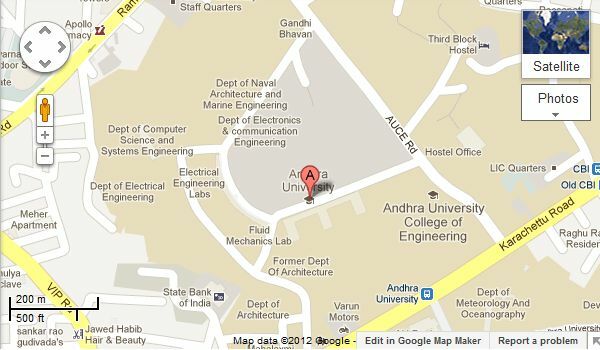 Question : Is the Andhra University offers B.Ed in Special Education course? The university accredited by NAAC. Yes, the Andhra University offers B.Ed in Special Education course. Andhra University Colleges of Arts & Commerce, Visakhapatnam was estbilished in the year 1966. this unievsrity has 28 departments organizing 50 courses covering disciplines like Commerce & Management Studies, social and Behavioural Sciences, Humanities, Arts, Languages and Education etc…. Question: Is Andhra University offer Diploma course in Russian?